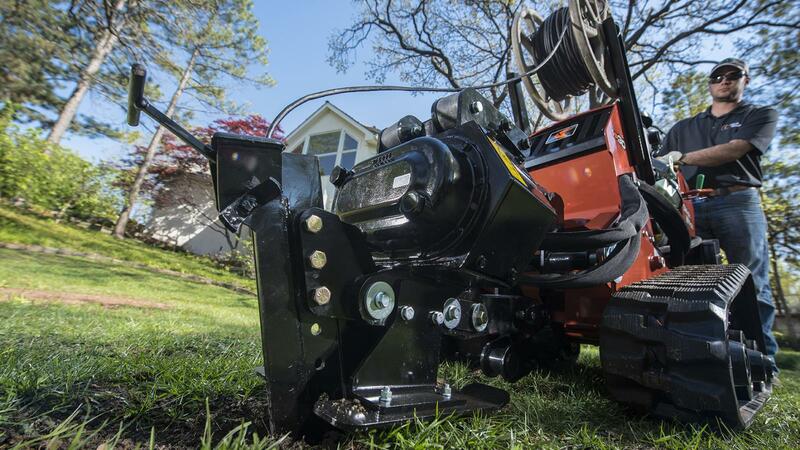 The Ditch Witch VP30 vibratory plow is the ideal, cost-effective solution for residential fiber installation, cable and lawn irrigation in tight spaces. 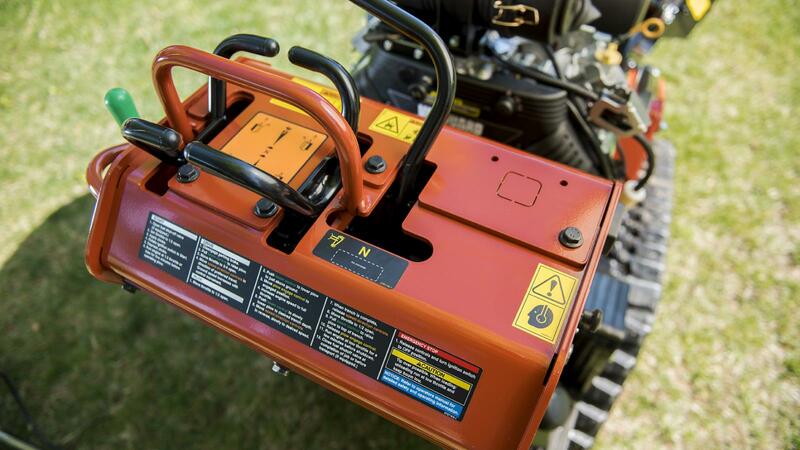 This compact powerhouse is equipped with a 31-hp (23-kw) engine, making it the most powerful unit in its size class. The VP30 is easy to use and low maintenance for enhanced productivity and increased uptime. Plus, the machine is equipped with heavy-duty, adjustable plow blades to meet fiber installation-depth requirements and improve longevity. Leveraging the same reliable and proven pivot design as the Ditch Witch CX-Series walk-behind trenchers, the VP30 pivot is maintenance-free for increased uptime. 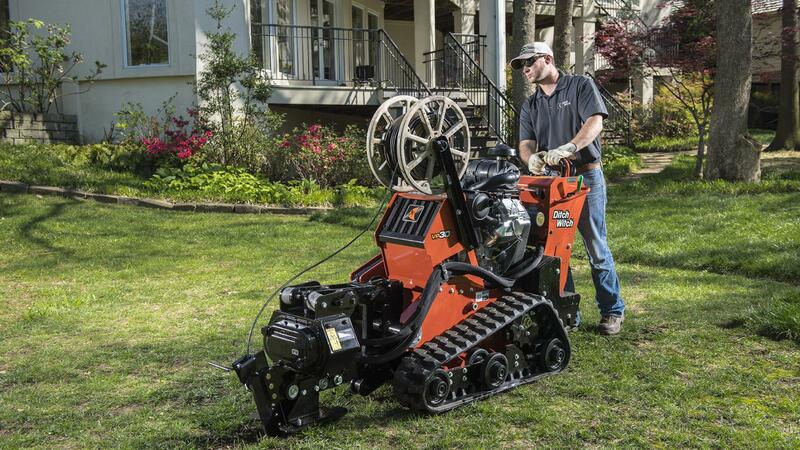 With no daily grease zerks, a Ditch Witch exclusive, utility workers can keep their machine out of the shop and on the job, improving profitability. The simple, open design allows for easy service access and uses greaseless, sealed bearings to extend track assembly life. The construction-grade, compact design allows for better maneuverability on tight, residential jobsites. Ditch Witch provides the most dedicated offerings to support the deployment of underground fiber installation, including vibratory plows. 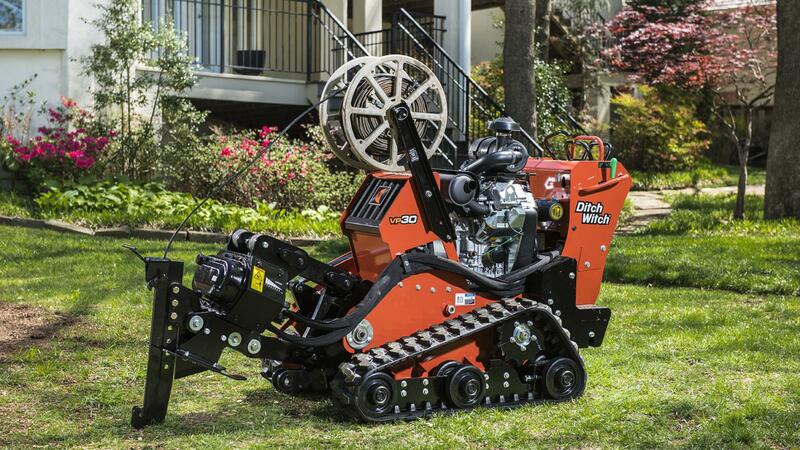 As with all Ditch Witch equipment, the VP30 is backed by a worldwide network of dealerships you can count on for unmatched commitment to your success. From genuine Ditch Witch parts to factory-trained service and expert advice, your Ditch Witch dealership is your trusted partner on the job. The VP30 is equipped with hydrostatic, skid-steer-style steering for easy operation. Easy-touch controls help reduce operator fatigue and enhance machine responsiveness. The simple and reliable design includes a hydraulic system that eliminates vertical shafts and belts so operators don’t have linkages to adjust. 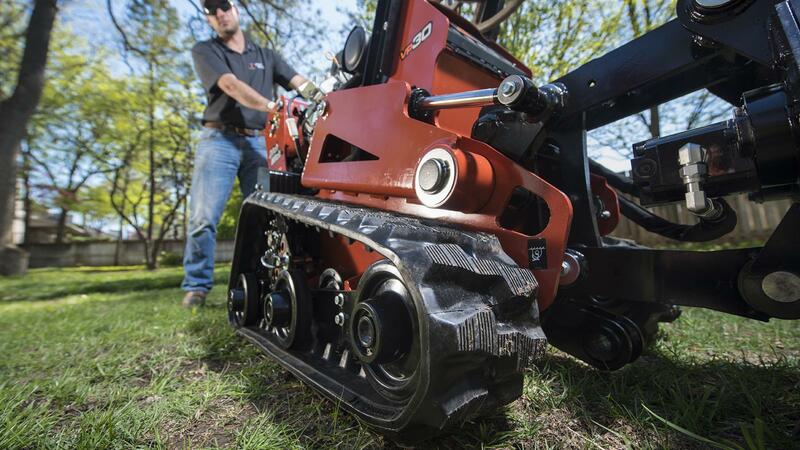 An available RotoWitch® boring attachment results in fewer disturbances, less labor and less restoration than tearing up driveways and sidewalks to complete installation. The VP30 is equipped with two, new adjustable blades–the pull blade and feed blade–which can be adjusted between 6” (152.4 mm) and 12” (304.8 mm) to meet fiber installation-depth requirements in various areas. The machine’s standard blade options are designed by Ditch Witch to be heavy-duty and longer-lasting than other competitive blade options on the market. 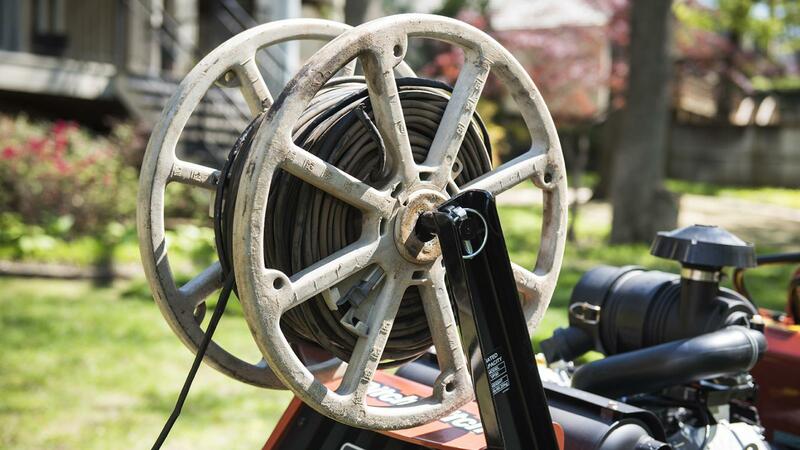 An optional reel carrier allows for easy cable and fiber installation. 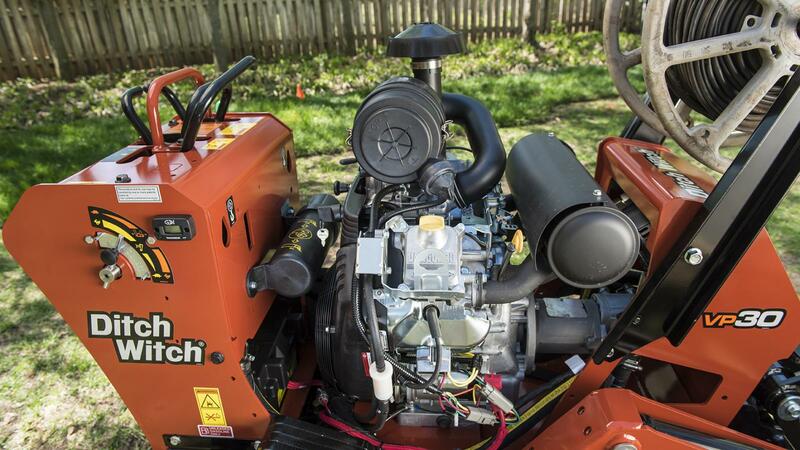 Powered by a 31-hp (23-kW) Briggs and Stratton® engine for maximum productivity, the compact VP30 is the most powerful unit in its size class. 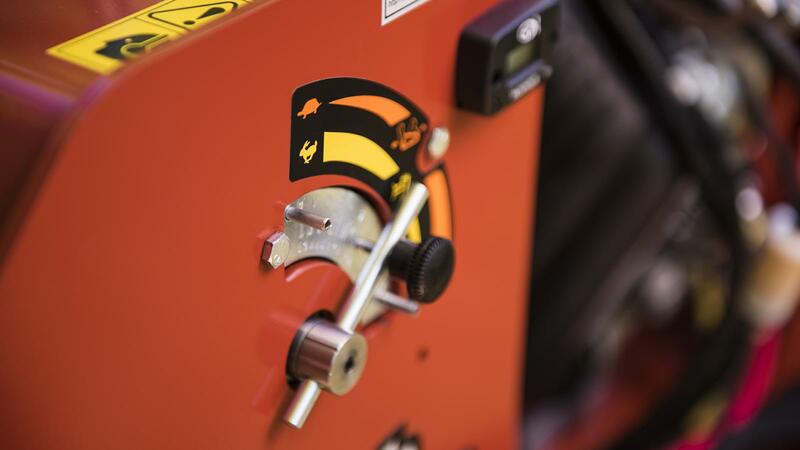 An industry-first variable flow control helps you precisely control the flow to the shaker box and adjust ground drive speed for varying ground conditions, improving overall productivity. 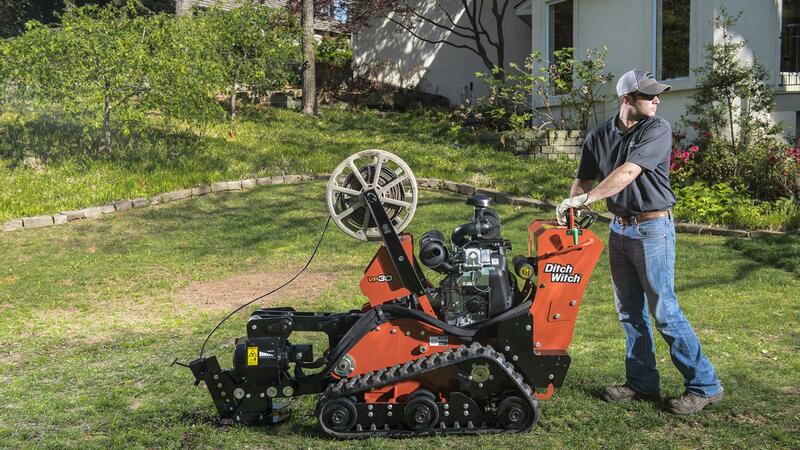 Ideal for fiber drop work and installation of small irrigation pipes up to 1 inch (25.4 mm) in diameter, the VP30 has a 12-inch (304.8-mm) plow depth. 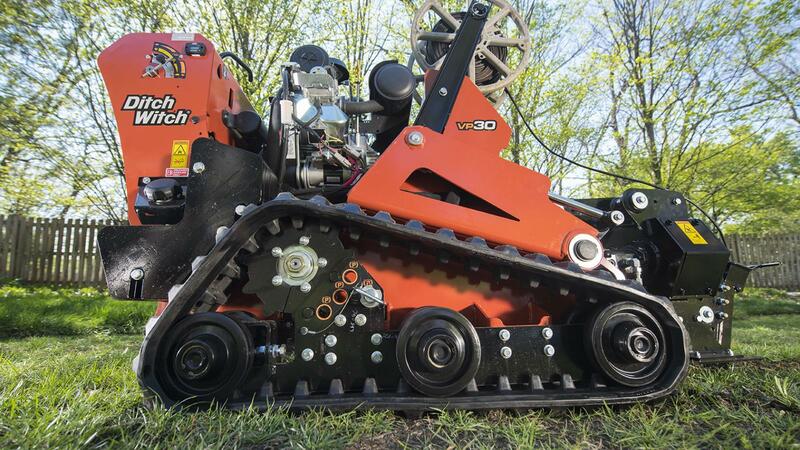 The VP30 utilizes the same proven, high-drive system found on the CX-Series walk-behind trenchers. A high-drive track system includes bolt-on, interchangeable rollers—a Ditch Witch exclusive—for longer lasting performance. 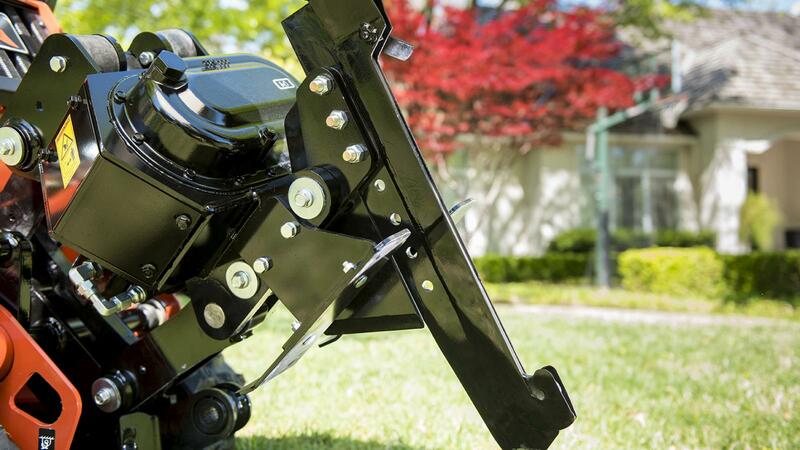 The machine has an extremely low ground pressure at 4.1 psi (0.28 bar) for minimal disruption to residential lawns. Standard outboard bearing support helps stabilize the unit’s shaker box for reliable and efficient performance on every job.